It’s with this concern that I write. Recently, Dr. R. Albert Mohler, Jr., President of The Southern Baptist Theological Seminary, interviewed Tanya Luhrmann. 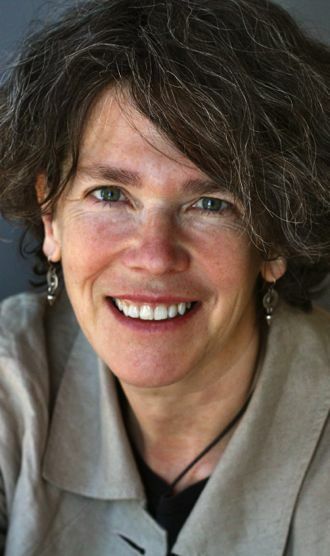 Luhrmann is a psychological anthropologist and teaches at Stanford University. Earlier this year she released her latest book, When God Talks Back: Understanding the American Evangelical Relationship with God. If you haven’t picked up a copy of the book, you should do so. There are a number of reasons why I found the book fascinating, not the least of which are that (1) Luhrmann is not an evangelical Christian and (2) her research was done within the Vineyard Movement. This means that if you are interested in what a “secular” anthropologist thinks about “charismatic” Christians, this is a good place to start. At any rate, I was extremely disappointed in Mohler’s comments during the recent interview (audio here; transcript here). Though there are many concerns I have with what Mohler implies in this interview, I want to clarify immediately that I have no ill-will against Mohler and that I have much appreciation for some of his work and count him as a fellow believer. Of course, were these the ideas of some unknown crack-pot blogger, I would largely ignore them. But this is the President of a well known seminary and a man who is extremely influential within some theological circles, circles that I happen to personally travel in and have great affinity for. Yet his comments are so troubling that I believe it’s important to provide some sort of a response to them. The only way that Mohler can suggest that the Vineyard “goes beyond… where most classified evangelicals would be” is if he chooses to redefine the word evangelical as it is used by so many. And as Mohler well knows, there’s a lot of disagreement about what makes an evangelical an evangelical (see the excellent book Four Views on the Spectrum of Evangelicalism, which Mohler contributed to). Furthermore, this seems dangerously close to an argumentum ad populum (“appeal to the people”) fallacy. What Mohler needed to do was to simply state that the Vineyard takes a position that Mohler and others disagree with. He certainly can’t suggest that the Vineyard takes a position different than all Southern Baptists because there have been many Southern Baptists who are Continuationists. I’m disappointed that Mohler ignored well known statistical research while also implying that those of us who are Vineyard are “beyond” where “most” evangelicals are. Luhrmann, thankfully states that she is ” tempted to think that the Vineyard experience is not that unusual” in response. I do not find Mohler’s comments here very gracious, loving, or even accurate. Now, if Mohler has visited the church and has interacted with the leaders and the congregation and has come to find that they are not concerned with how Scripture reveals God, I will co-sign his concern. But after I took a quick look at the podcasts of both Vineyard churches that Luhrmann visited and saw all of the sermons being based on Scripture and many of them being about God as he is revealed in Scripture, I wonder how he can make a statement about this congregation like this. At the very least this is slanderous. Again, Mohler’s comments seem quite slanderous and factually incorrect. I would hope that the President of a leading evangelical seminary would take the time to read the Statement of Faith of a denomination or church that he was going to comment on so that he could give an informed opinion. Yet he doesn’t. I’m curious as to why. Of course, when you refer to a movement as “hippie Christianity,” I suppose you probably assume that there is no Statement of Faith? I wish Mohler had spent just a little time reading on the Vineyard (more on this later). Thankfully, Luhrmann replies, “of course the folks that I talked to would disagree.” Yes, we do disagree, Dr. Mohler. Our Statement of Faith is quite clear about our doctrinal positions regarding the nature of God (which I did not even quote) as well as our understanding of God’s judgment. We’re more in line with your thinking than you seem to give us credit. Why? (3) How can Mohler state, “I know you’re not a theologian,” and then proceed to allow Luhrmann to be a spokesperson for a movement she is not a part of? This, for the life of me, makes absolutely no sense. Wouldn’t that be the same as allowing Richard Dawkins to represent and define Southern Baptists simply because he has comments on the SBC? Yes, Luhrmann’s research is extremely helpful and I’m very thankful that she took the time to study the Vineyard. As I stated previously, we can learn a lot from how she understood and sometimes misunderstood our theology and praxis. And yes, there are some responses that Vineyard pastors and theologians would have to Lurhmann’s research (e.g., Ken Wilson’s response to Lurhmann at SVS2011). I’m troubled that throughout this interview, Mohler seems to regard Luhrmann’s views as representative of the Vineyard. Again, this troubles me because it seems highly questionable from an academic theologian. Would Mohler appreciate that I allowed the myriad of critics of Southern Baptists to determine for me my view and understanding of SBC life? Of course not. And I would hope that no one would do that, especially if what an “outsider” said was at odds with how a movement or denomination framed itself. (4) If Mohler was going to take the time interviewing and interacting with someone commenting on the Vineyard, wouldn’t it have been more gracious to take the time to read through Vineyard literature, theologians, and history in order to better understand the subjects of the author as well as to better represent them in his own responses? At the very least Mohler could have pointed his listeners (and readers) towards further sources. Clearly Mohler has not read Bill Jackson’s insider history on the Vineyard, The Quest for the Radical Middle. Nor has he read Derek Morphew’s Breakthrough or Rich Nathan & Ken Wilson’s Empowered Evangelicals or any of Don Williams’ works. Why are these important? Because these are all well known “Vineyard” authors who I believe it would be very difficult for Mohler to find supporting many of the straw men arguments he suggests are characteristic of the Vineyard. Yet throughout the transcript and interview, Mohler incriminates the Vineyard for beliefs that simply do not represent the vast majority of Vineyard people that I have interacted with. This troubles me deeply because it is slanderous and misleading and, quite frankly, not a great way to have theological conversations. If Mohler chooses to read Scripture and reach conclusions that leave him as a Cessationist, that is fine. But please nuance the issue a bit more and be a bit more gracious in how you handle these differences. Furthermore, Wayne Grudem has a number of chapters and appendices in The Gift of Prophecy in the New Testament and Today that would be standard response to your views on the issue of modern day prophecy (as would D. A. Carson’s Showing the Spirit and much of Dr. Sam Storms’ work). That being said, I’m okay with differing on the nature of the charismata and still calling Mohler a believer. I simply don’t understand how the Vineyard is implicated as being outside the bounds of evangelicalism but C. J. Mahaney is counted as a fellow evangelical, enough to start Together for the Gospel with, even though he speaks in tongues, believes in modern day prophecy, and serves as an apostle. Why more charity to Mahaney than the Vineyard? (5) Don’t get me wrong, there are many in the Vineyard who likely have theological views that are problematic. But don’t all denominations have this problem? Some of the ideas that I’ve heard expressed in Southern Baptist churches are certainly concerning to me and I’m wondering why Mohler was so charitable to a group of Southern Baptist theologians who earlier made statements that appeared to express the heresy of Pelagianism/semi-Pelagianism (read Christianity Today’s article and Dr. Mohler’s response). Are we to infer that Charismatics are more doctrinally troubling to Mohler than statements that are, according to Mohler, semi-Pelagian? Unless, of course, one is affiliated with Sovereign Grace Ministries? 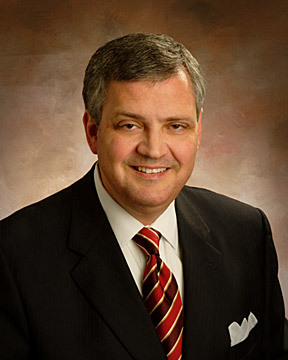 When Mohler wrote his response to the controversy brewing in the Southern Baptist Convention, I found his thoughts extremely gracious and was greatly encouraged with the way that he took a stand for what he believed to be doctrinally true (as do I) and yet willing to not jump to conclusions about those who were associated with the theologically concerning statement. Why would Mohler not give those in the Vineyard the same gracious response? Why would he continue to slander those in the Vineyard by implying that they advocate “a solitary spiritual experience or just a solitary relationship with Christ.” Is this an official position found within the Vineyard? Can Mohler direct me to any Vineyard author, theologian, or pastor who suggests anything remotely close to an ecclesiology of solidarity? In all of my years interacting with Vineyard people, I have never encountered this type of an attitude. Of course, that doesn’t mean that it doesn’t exist in some corners within our churches, but I’d hope that the President of the flagship seminary of the Southern Baptist Convention would be a bit more cautious in how he communicates about a movement that includes people who are fellow believers. Excursus: Some additional thoughts about Mohler’s comments on Jonathan Edwards. There are a number of other issues that concern me about Mohler’s comments in the interview, but these are related more to his handling of Jonathan Edwards. These are more so related to the fact that I hold to similar convictions concerning Reformed Theology. In other words, I too am a Calvinist who appreciates the Institutes, Puritans, John Owen, and the works of Jonathan Edwards. I have also learned and continue to learn from those within this sub-genre of evangelicalism. What doesn’t make sense to me is that Mohler took the opportunity to provide some clarity regarding some of what Luhrmann assumed of C. S. Lewis, but the opportunity to do so with Edwards was missed. Why? It seems to me that a driving force for Mohler is that hell and judgment are central to his theology. This theme recurs throughout the interview and I’m wondering why he doesn’t include the cross and the Resurrection as more central in his conversation with Luhrmann. If it is implied throughout the interview that the Vineyard church doesn’t communicate the gospel, shouldn’t the same be said in regards to the interview? After all, the cross and the Resurrection seemed to be rather important to the apostle Paul, whom Mohler mentions several times (cf. 1 Cor. 15:3-8). I know as a matter of fact that Mohler deeply treasures those historical events and I’m wondering if the lack of clarity was due to the fact that this interview was focused more on drawing lines of exclusion versus attempting to take the time to represent people fairly and to help clarify theological issues better. Please do not misunderstand me. I am well aware of the fact that Mohler treasures the cross and the Resurrection, I just have questions about the nature of this conversation. Finally, Mohler seems to have overlooked some of Luhrmann’s comments about Jonathan Edwards’ connection to many within the “revivalist” movement. This is interesting to me because, again, I think there’s a lot more to Edwards than preaching hell. Anyone who has read more than a sermon or two of his would know that. In fact, Edwards was deeply connected with a very powerful revival, the Great Awakening. I wonder why Mohler did not reflect on some of these connections in his discussion with Luhrmann because they seem to be rather important. It is certainly a bit simplistic to attempt to draw such differences between Edwards and Wimber when Wimber would have suggested that Edwards was an influence in his life! I really wish Mohler had taken the time to represent Vineyard better. After having discussed this interview with a number of Vineyard pastors and scholars, we all agreed that the Vineyard was misrepresented. I can respect Mohler’s attempt to define evangelicalism differently than I would, but I cannot understand why he would choose to be so ungracious and misleading about the Vineyard, especially given how much information is readily available online. Perhaps Mohler should read Wayne Grudem’s paper “Power and Truth,” a response to criticisms against the Vineyard by D. A. Carson, James Montgomery Boice, and John H. Armstrong. Many of the same fallacies and misrepresentations that Mohler makes now were made then. Throughout Mohler’s comments with Luhrmann, I kept having the feeling that there’s a different set of academic standards for certain wings of evangelicalism and I simply don’t understand why. Is this related to the fact that most in the Vineyard are Egalitarians? What causes Dr. Mohler to write so differently for the Vineyard than for folks like Mahaney, Grudem, and others who differ with his perspective? Or has he done this to them as well? I find this deeply troubling because I’m afraid this happens quite often in theological discussions. If anything, I see this as a reminder to take more care in my own theological interaction. Baptocentric warmed over fundamentalism shows it’s pretentious heart again. I’m sure directly after this discussion a nice lunch at Chick-Fil-A was in order. I am sure that Mohler understands he is fallible. At least, based off of what I have heard him say in the past I believe he understands that. After all, he’s a strong supporter for the authority and inerrancy of Scripture and that generally indicates that he understands that human beings are not on the same level of authority as Scripture. What concerns me the most is that it would seem that he hasn’t spent much time getting to know much about the VIneyard, but has a lot to say about us. That’s concerning, for a number of reasons. Luke, nicely done. As one who stands in disagreement with the Vineyard movement, especially as it relates to the continuation of direct speech, I agree that taking the time to understand that which you are opposing is essential. How much more for a person of Mohler’s stature. I can’t say I’m surprised though. When I read his piece on Andy Stanley some months back because of a story that Stanley told about this homosexual couple, it just struck me as biased and unfair. Rather than get Stanley’s clarification on what he meant by his statements, he took to publicly blasting him and suggesting that he supported homosexuality. Had he taken the time to get clarification from Stanley or to listen to the other sermons in the series, we would have seen that his public castigation was unwarranted. It strikes me as an elitism that rules one as judge, jury and executioner in defense of the faith. I was really turned off by it.